Most of the leading cybersecurity company use blockchain technology to avert data tampering. In addition to this, US healthcare companies are taking the initiative to explore this technology for other relevant issues. Storing Electronic Health Records (EHR) have certain drawbacks but with the advancement in the technology, decentralized database assures restructuring these documents by developing an innovative healthcare structure. Blockchain can be a solution for tackling this issue as it is considered one of the safest network communication. Cryptocurrency is a digital asset designed to work as a medium of exchange that uses strong cryptography to secure financial transactions and any type of cryptocurrency make use of blockchain. Next comes the safest communication network, Blockchain technology. It is a decentralized, public ledger technology, termed because of the process that allows a currency to maintain a trusted transaction network without relying on a central authority. This framework remains unthreatened from government interferences and manipulations and market-participants can keep track of virtual currency transactions, without a central record-keeping. It's a systematic procedure wherein every transaction is recorded and added to blockchain in a chronological order. Each individual who is a part of this process gets a copy of it. can verify transactions within digital currencies and also has the ability to digitize, code and store any document, which is important for cyber-safety. Healthcare companies are happily adopting the Blockchain technology, as it is one of the most secure frameworks within the health care system can be built in an organised manner. Within this system, patients will have accurate and updated records that are protected against tampering or spying. The data can be shared with any provider who needs it. Electronic Health Record (EHR) refers to the block of data that stores medical information of patients. These reports could include progress diagrams, potential problems, medications, immunizations and many more.EHR provides a relief to clinician's workflow by providing automatic access to medical information. There two major drawbacks of EHRs. Firstly, these records are not kept up-to-date with the recent information and the data is not easily shared between providers. Secondly, the insecure storage of data can be prone to cyber dangers. Therefore, Blockchain is considered more reliable. 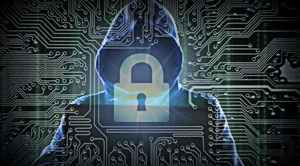 As EHRs do not have a well-defined system to secure its data, it is prone to cyber attacks. Here. hackers have the opportunity to steal, delete, modify the records and in emergencies, doctors may not be able to access crucial medical information thereby affecting the lives of the patients. Whereas the capabilities of blockchain are more refined wherein any human errors can be easily tracked down and corrected. This is a more convenient form of network wherein patients can themselves review and update information and can make new entries as and when required.